A tally of 6 goals in 28 games have seen a flurry of interest in Aribo, with the Gunners also facing competition from German club Eintracht Frankfurt and Portuguese giants Benfica in the midfielder. Unai Emery is expected to have a limited transfer budget this summer but is keen to bring in midfield reinforcements with the departure of Aaron Ramsey to Juventus signed and sealed. It is understood that Aribo is very keen to move to North London, just a stone's throw away from where he currently lives, so that he can continue to spend time close to his family. 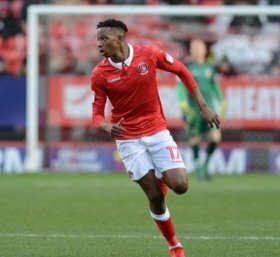 Aribo joined Charlton in 2015, prior to that he had a spell with Staines Town. He has since gone on to play over 80 games for Charlton since making his debut.